Scrap My Boat – At Boatbreakers we are a highly professional boat recycling, vessel scrap & salvage specialists serving individuals and companies across the world. We are the best in the marine scrappage business. Do you have a boat that has become a burden and fallen into disrepair? Is it costing you more and more to store? Or is an old boat just getting in the way? If so Boatbreakers can help, just call us and say “scrap my boat” or try our scrap calculator. Trying to sell boats for scrap can easily turn out to be a costly venture. Without the correct insurance you could be liable to foot the bill if something goes wrong like the ship sinking. At Boatbreakers our service removes the hassle, we scrap your boat for a fee and you can avoid any hefty charges. One call to us and we can remove damaged, sunken, unwanted and abandoned yachts, boats and ships. 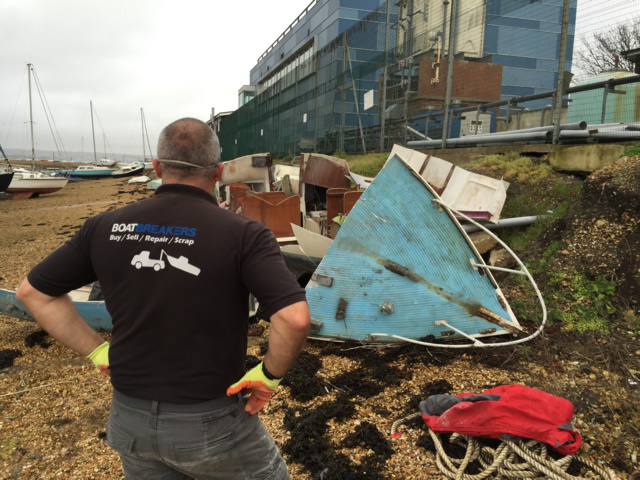 We can remove boats from gardens, fields, car parks and shorelines. 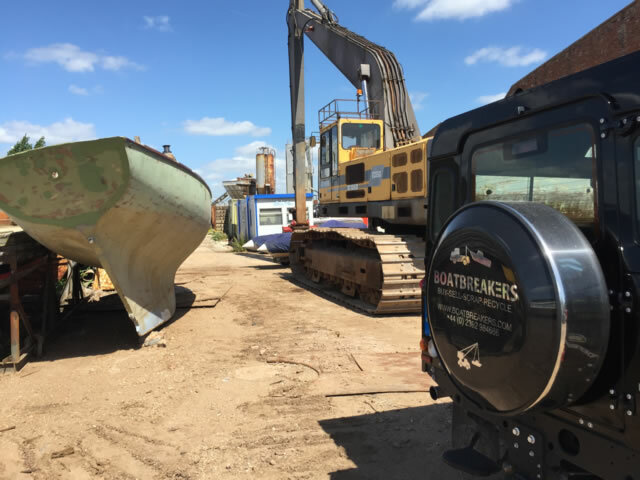 At Boatbreakers after we scrap boats we ensure safe disposal of oils, diesel, petrol and general hazardous marine waste. 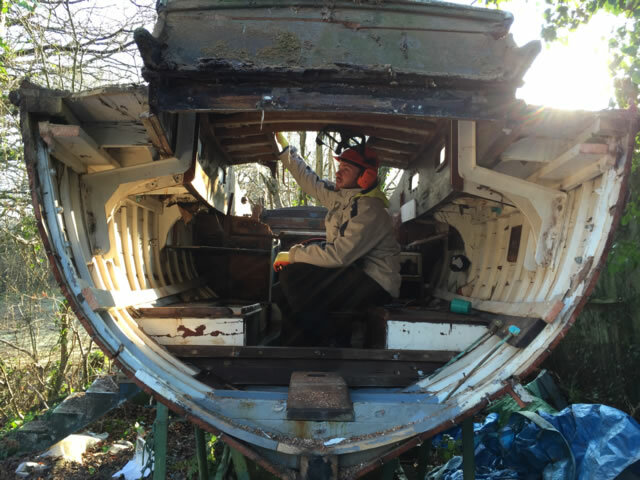 When we scrap your boat our team of boat scrapping specialists will come to you and either dismantle the vessel where it sits or move it to a more convenient location. Once we have finished the work we will make sure the site is clear of any mess. We don’t leave waste after scrapping a boat. Disposal of a boat can be a challenging task for an owner, marina, or insurer. 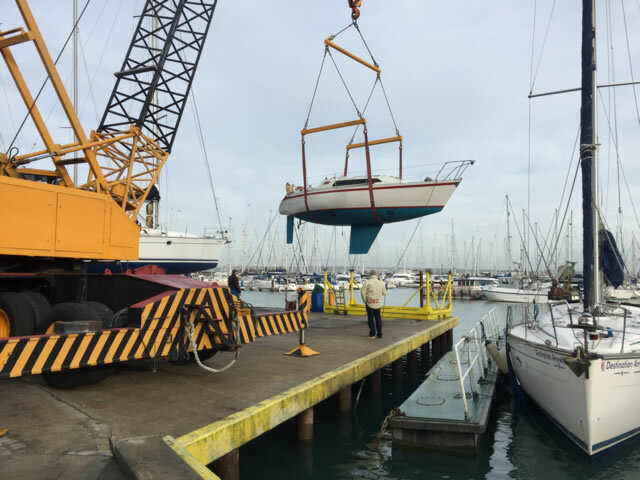 Boatbreakers specialise in yacht and motor boat removal and recovery for private and commercial owners, boatyards and insurance companies. Boatbreakers is part of the Maritime Expert group. At Maritime Expert we can cater for all of your boating needs. So remember when you are thinking, “How can I scrap my boat?” give Boatbreakers a call.